Summer isn’t peak season for cold and flu, but getting sick during the warm months does happen. Our usually healthy family has battled a string of viruses these past couple of months, with an ER visit for the toddler last week. The shock of hearing my not-quite-2-year-old gasping for air in the middle of the night was terrifying. We came home with a diagnosis of croup and an ear infection, and I devoted the week to getting him back on his feet and then nursing his big sister, who took her turn with the virus as well. While the crickets were chirping on the blog and social media, I soaked up the extra rest and cuddle time with my kids, thanking God for their health and for good medical care. It seems it’s not just our family getting sick – everywhere I go lately, someone mentions having had some sort of cold or bronchitis or something I typically associate with winter. In fact, this article points out that summer viruses, while less frequent, are often more severe and longer-lasting than winter viruses. “Mombucus,” as we call it at our house, is my homemade, cheap and easy version of store-bought Sambucus Immune Syrup made from dried elderberries. I make a fresh batch of Mombucus every time a nose starts running around here. Sometimes home remedies don’t seem to do much, but this stuff? It’s liquid gold. One study showed shortened the duration of flu symptoms by 4 days! Our family fought off a handful of nasty colds this year with Mombucus and nasal irrigation alone. 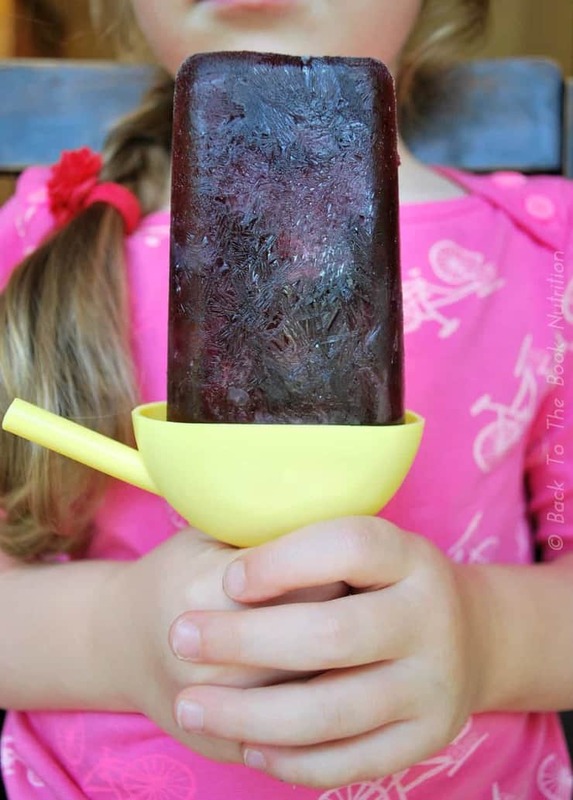 But, when summer heat is blazing, it’s way more fun to take your medicine in the form of a popsicle! 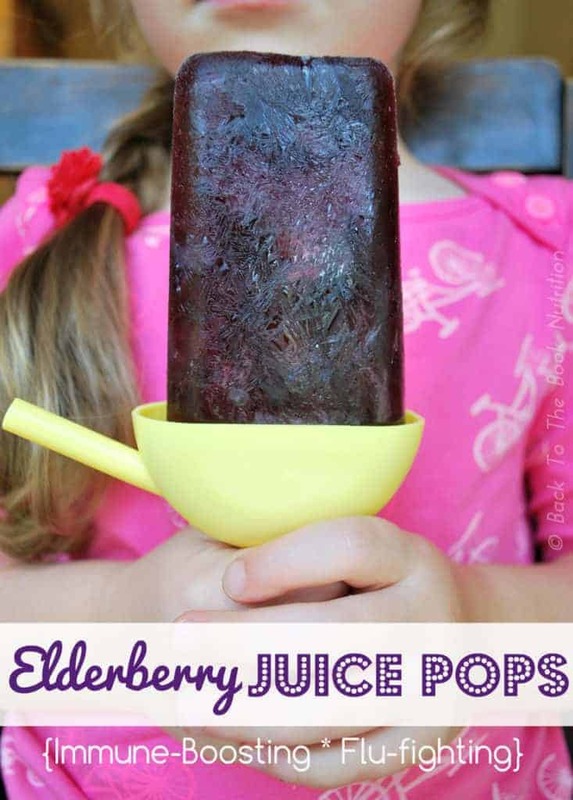 Enter Elderberry Juice Pops. 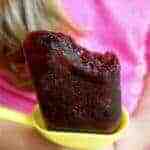 I simply poured a blend of Mombucus and Cran-Apple juice into popsicle molds and froze them. Just a few hours later, we had some serious immune boosting in dessert form! Who couldn’t love that? We keep homemade popsicles on hand all summer long at our house to fight the Texas heat and humidity, and this new flavor is now on the favorites list. It tastes similar to grape, but with cranberry and blackberry mixed in. I might even start making them more often these just to get an extra dose of healthy antioxidants into our normal routine (Elderberries have 3 times more antioxidants than blueberries and 28 times more than strawberries!). Want your child requesting more “medicine” to ward off sicknesses too? This recipe will do it! "Medicine" disguised as dessert! These immune boosting, cold and flu fighting popsicles are super sweet, and are cheap and easy to make. Pour 1.5 oz of prepared Mombucus into each popsicle mold (about half full in my 3oz molds). Fill the remainder of the mold with cranberry apple juice. Freeze for a few hours or until set. Run hot water over the mold or allow to sit on the counter for a few minutes to loosen the popsicles before removing from the mold. Does your family battle spring and summer colds? Please share your immune-boosting, cold-fighting tips in the comments section! I love this idea! Somehow my kids always get a little cold in the summer, so I’m always looking to ways to boost their immune system in yummy, fun ways. Pinning. Great, Kristin – I hope they love them! There is no talk of dosage on this. Elderberry syrup is a medicine. Recommendations for children over 1 is 1 teaspoon a day for prevention. If your child is not sick, don’t make these. I’ve found dosage for children that are sick anywhere from 6-9 teaspoons a day, usually this is recommended by 1-2 teaspoons 3-4 times a day. 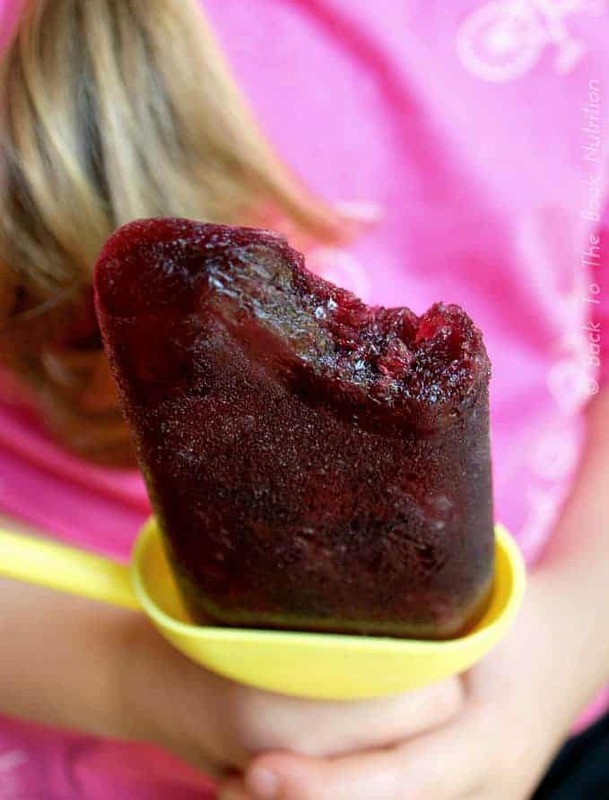 Making these pops with 1.5 ounces of the elderberry syrup is 9 teaspoons of medicine in 1 pop. That is the full recommendation of a day’s worth if sick all in one sitting. Also elderberry syrup should only be used for 3-4 days at this dosage. Making 6 pops for 1 child is over dosing. Please be careful with this. I would look for smaller pop molds or sucker or candy molds might be better. And make sure you are treating it like medication with proper dosage.